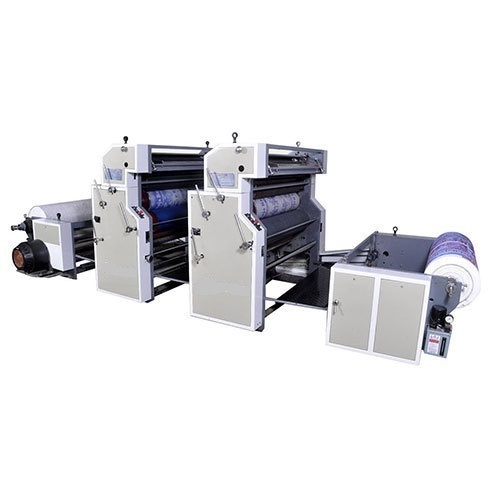 Shri Sidhi Vinayak Engineers is dedicatedly engaged in the manufacturing and supplying of high precision Chart Printing Machine in the international market. The Medical Chart Printing Machine that we supply is known for its effective performance. It is quite effective for letterpress type of printing. These chart medical printing machines have digital form counting meter with preset line marking arrangement attached to them. In addition to this, we are one of the reputed Medical Chart Printing Machinery Manufacturers in India. Sprocket Punching Station with One set of punching tool (560mm circumference) to punch one 13mm x 6.5mm oval hole in each fold. (Alternative punch size may also be provided) If required side sprocket punching tools can also be supplied. The position of the punching tool can be adjusted anywhere acros the web. Horizontal perforating station consisting of hardened and ground steel roller and perforation cylinders capable of perforating of 280mm circumference with perforation every 70/140/280mm. Additional cross perforation cylindres can be supplied at an extra cost. The machine will be driven by 10 HP infinitely varible drive comprising DC moter, rectifer type control panel working on 440V 50 cycles AC supply. One Duplex rewind system with slitting and trimming pillars to slit the web in 4 to 5 rolls upto 400mm dia. ( subject to slit width).